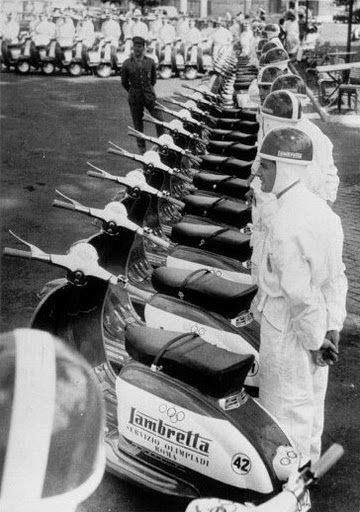 While we are engrossed in the London 2012 Olympics, there are not many Lambretta’s on view… (UPDATE: A secret source tells me that classic scooter fans may be in for a pleasant suprise at the closing ceremony. I’m saying no more!!) 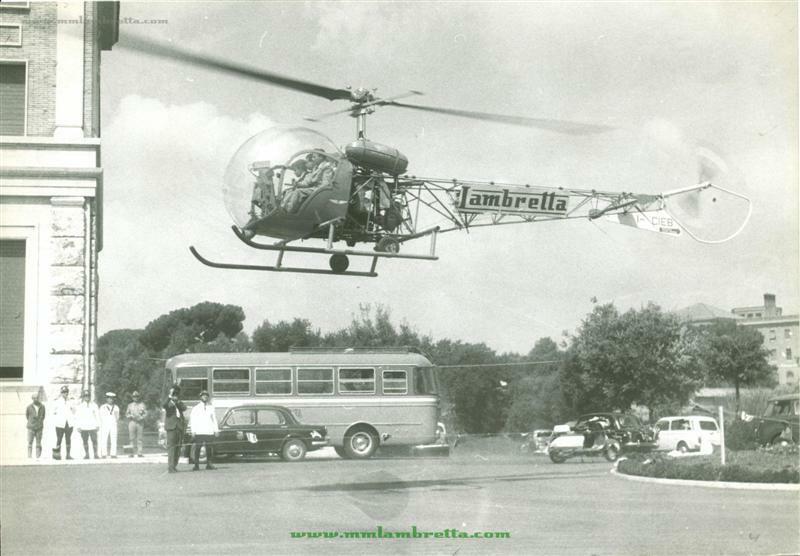 unlike the 1960 Olympics in Rome, where Innocenti supplied 80 scooters (as well as 20 Lambros and 2 Helicopters!) for the use of athletes, officials and the press. 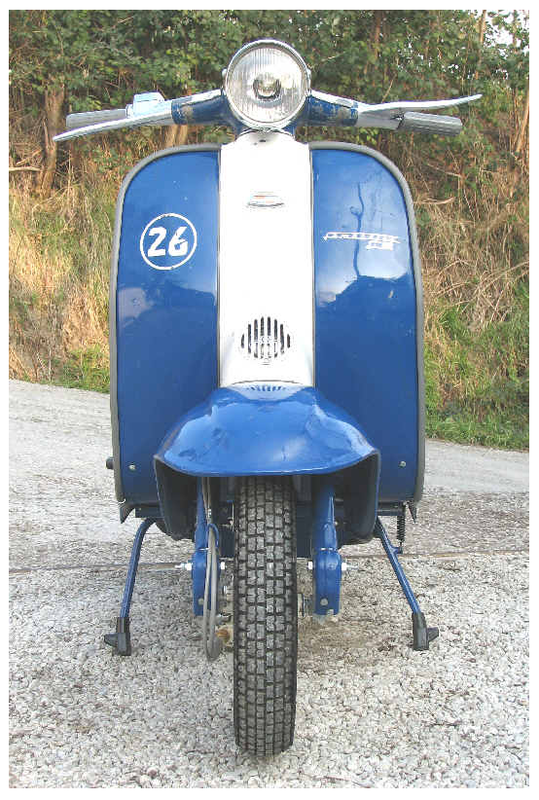 This must have been quite a coup for Innocentini …the Vespa marketing department must have been kicking themselves! I wonder if Cassius Clay rode a Lambretta before he went on to win his Gold medal… no there’s a picture I would like to see! Of the original 80 scooters (LI 150 Series 2’s) only 3 are known to have survived… and one has been loving restored a few years ago at The Rimini Lambretta Centre. 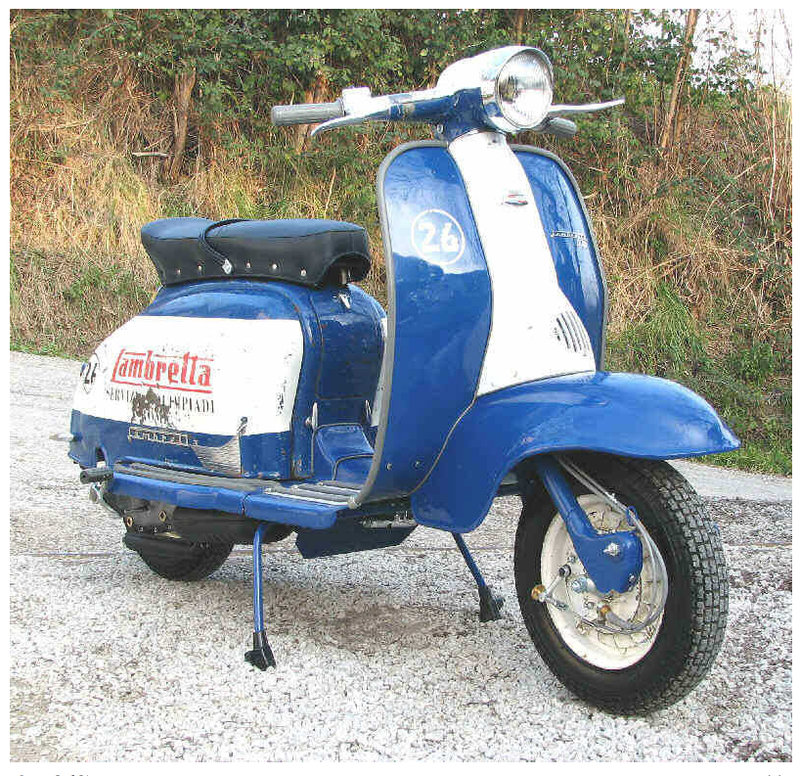 More (or less) than a “standard” restoration, it was deemed too historically important for that – this was a “conserved restoration” where as much of the original scooter as possible was preserved. The full story or the restoration, and some pics can be seen here. Those in the know in Lambretta circles recognise that Dean Orton and Paolo Catani at the Rimini Lambretta Centre as one of the few places on the planet capable of work to this standard. The whole story featured in Scootering magazine a few years back, and additional information for this article comes from the excellent MandM Lambretta blog. More pics, and a link to the Scootering article there. 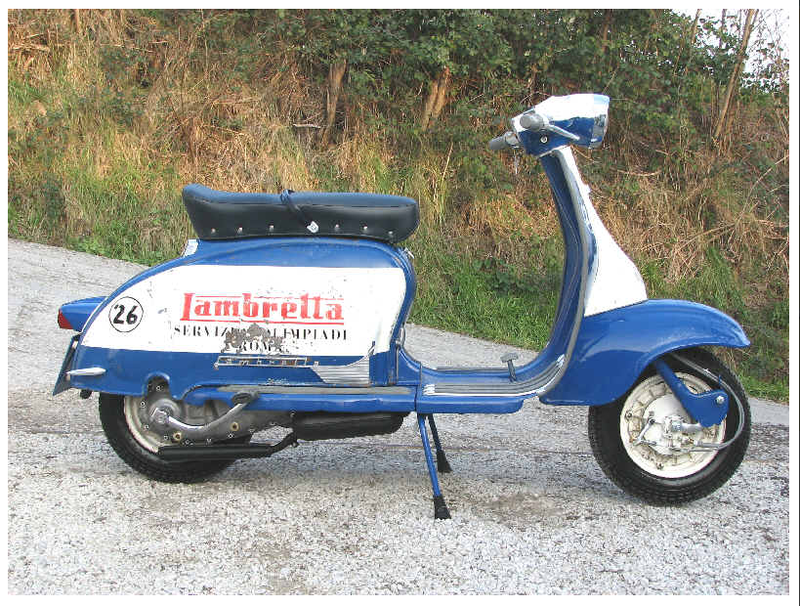 This almost unique scooter is now in the hands of US Lambretta collector Robbie Morelli. 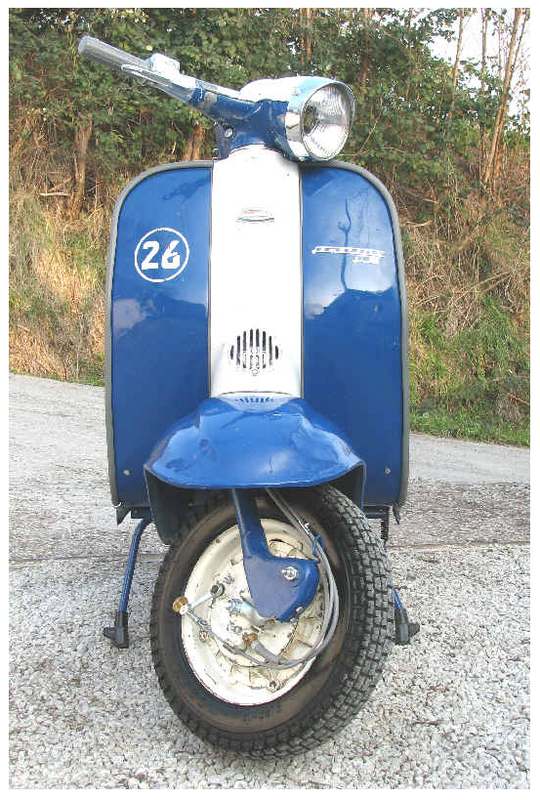 There is another at Vittorio Tessera’s Lambretta Museum, just outside Milan. 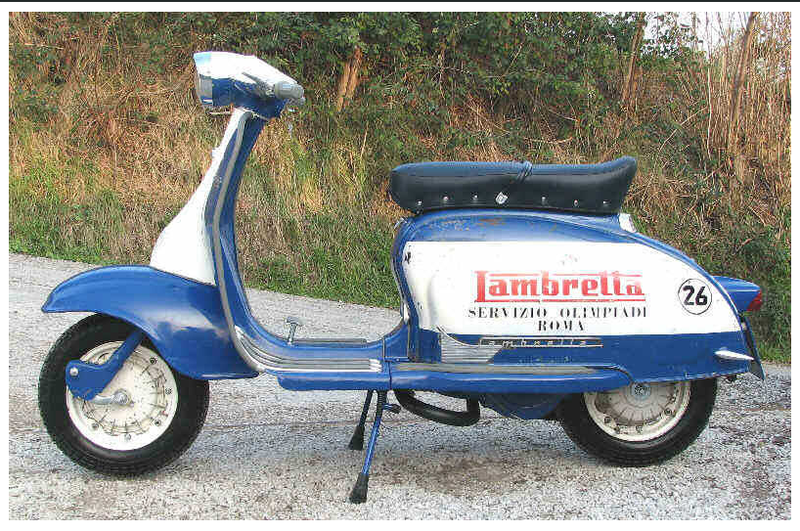 Interestingly, Rome are in the running for hosting the 2020 Olympics… I wonder if there will be any LN’s (or there succsesors) supplied to the athletes… I think they should all have these electric Lambrettas for getting around! EDIT: Just found another great pic on t’internet. I’ll add any more as and if I find them. 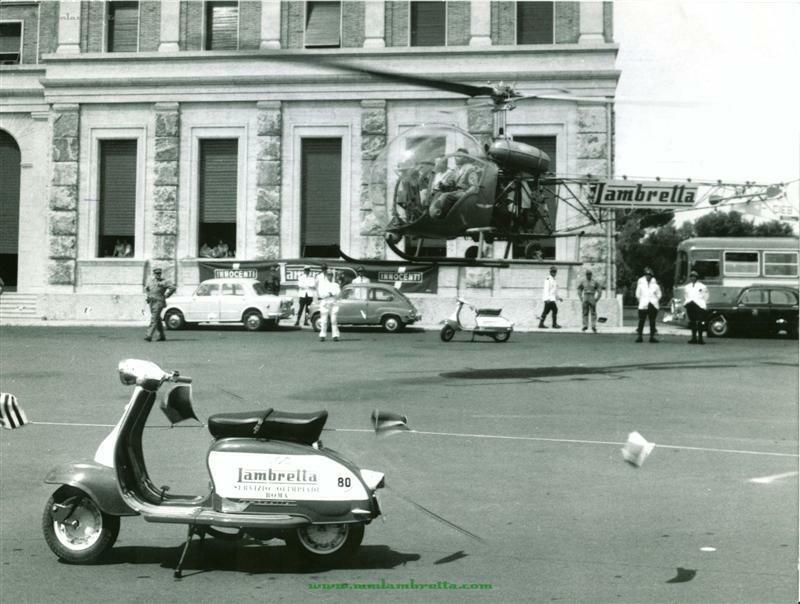 This entry was posted in Lambretta Imagery, Lambretta Life, Scooters and tagged 1960's, Italy, Lambretta, Olympics, Rome, sponsorship by crocodilejock. Bookmark the permalink. 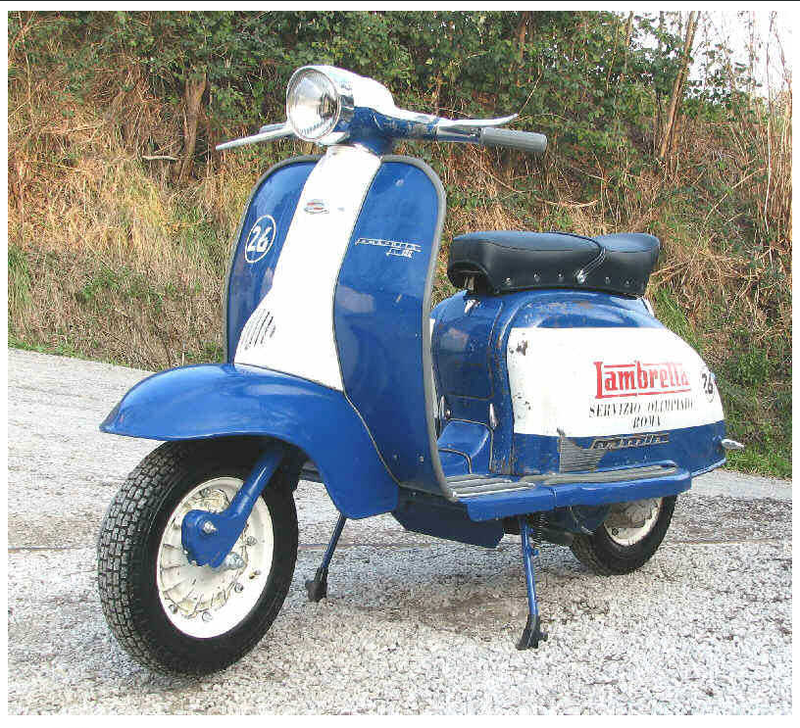 lambretta scoter are world best. this is the fisrt scoter i rode with my father,as part of our family history we owned 4 lambrettas for my 3 sons and mine.